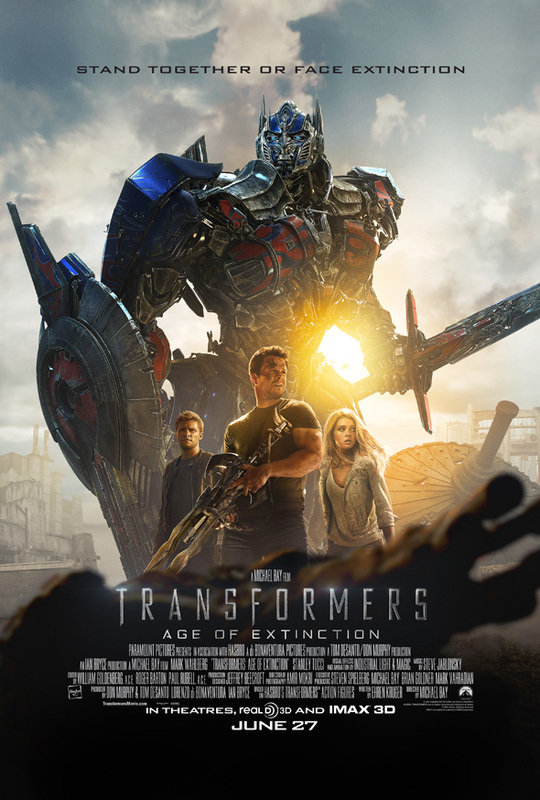 The latest trailer for Transformers: Age of Extinction will get a global premiere late tonight, and we'll see plenty more action between our new human heroes played by Mark Wahlberg, Jack Reynor and Nicola Peltz and the seemingly upgraded Autobots like Optimus Prime, Bumblebee and new Transformer allies voiced by John Goodman and Ken Watanabe. Now a cool French poster has emerged that's a little more traditional than the previous posters we've seen. It's got our trio of human heroes, with Wahlberg wielding a big alien gun, and a heavily armed (no pun intended) Optimus Prime. See the new poster below! Refreshing to see the French doing a faithful translation of an English film title. 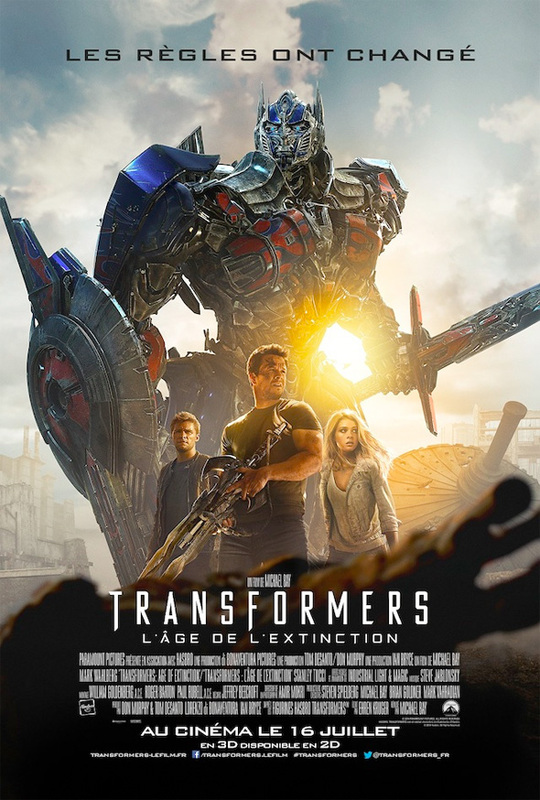 i dont like scifi or monster stuff but tranformers has always been badass, the first movies were great giggles mixed with serious action, it worked brilliant. just look at prime here, baddass tranformers, would love it if tranformers really were here and we didnt know. it could be true there some spooky stuff out there! !